Valerie Bauerlein was back in town this evening, which became the occasion for the biggest gathering of former denizens of The State I’ve attended since we lost Lee Bandy. Valerie, now of The Wall Street Journal, was here to deliver the Baldwin Lecture at the J-school at USC. Last year I went to Elmira, New York, and Wausau, Wisconsin, to report on the ripple effects of the collapse of retail. What I saw there is not so different than what is happening at shopping centers in Columbia and in lots of other places. Elmira used to make everything from typewriters to TV tubes. As manufacturing went away, the mall out by the interstate became a bigger and bigger driver of the local economy, drawing people from miles away and employing hundreds of people. The local governments became dependent on sales tax to offset property tax and other revenue as manufacturing declined. So when the mall started to fail, people lost their jobs and became more dependent on public aid. And the city had become so reliant on sales tax to make its budget, it had to make deep cuts, even in its police force. There are lots of communities like this, who are dealing with the death of a big mall or outlet center that has been an anchor for the economy. Wausau, on the other hand, is a prosperous place, by some measures the most middle-class community in America. The mall is failing there, too, in spite of being the only one in a 70-mile radius. In Wausau, the city didn’t need sales tax to make its budget and the local governments could absorb the decline in property taxes from the mall and other shopping centers. The big worry there was the death of what had been a community gathering place, and how to get new life into a building that was in the center of town. The other issue was how to support small shops in the downtown, so the people would want to live and work there. So there are fiscal and civic ripple effects to our communities from the collapse in retail that are fascinating and often overlooked…. She’s one of the nicest, most pleasant, kindest, most considerate people I ever worked with, to the extent that you wonder how she ended up in the trade. Not that news people are universally unpleasant or anything; it’s just that she was SO nice. And very good at her job, to boot. Yep, that sounds like something I’d say about Valerie — and mean it. Here’s how nice Valerie is — she gave a plug to my recent blog post related to her topic (the one on deserted malls). Afterward, we went to Hunter-Gatherer for a pint. Which is where the picture above is from. That’s Valerie with the big smile in the foreground at right. You can also see Sammy Fretwell, Megan Sexton, Bob Gillespie, Paul Osmundson, Carolyn Click, Grant Jackson and various other present and former denizens of The State — plus such fellow travelers as ex-dean Charles Bierbauer, media lawyer Jay Bender, former Sanford press secretary Joel Sawyer and other friends. This entry was posted in Contact report, Higher education, Media, The State on February 28, 2018 by Brad Warthen. Soon-to-be-former Sen. Joel Lourie chats with well-wishers at his retirement party. I went by the Music Barn off Senate Street last night for Joel Lourie’s going-away party as he prepares to leave the S.C. Senate after 18 years in the Legislature. I didn’t get there in time for the speeches (I stopped by another event first), but I was there in time to see that there was a good-sized, bipartisan turnout. By bipartisan I mean: I’m pretty sure I saw Speaker Jay Lucas across the room, although I can’t swear to it because I didn’t get to speak to him. Veteran Republican operative Trey Walker was on hand. I was told Susan Brill, the Republican running for Joel’s seat, was there, but I missed her. 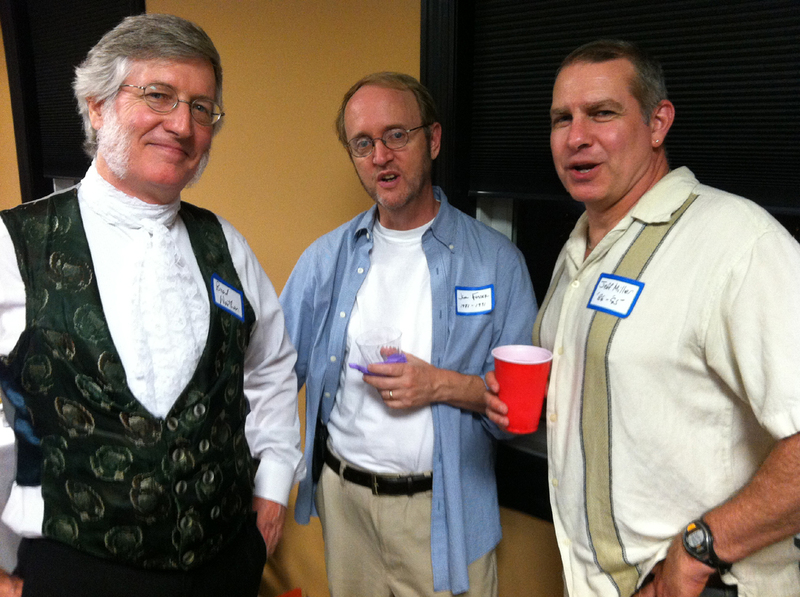 John Courson was one of the hosts, according to the invitation I had received. And I had a good, interesting chat with one Republican senator in particular. More about that in a moment. And then there were scads of Democrats, of course, starting with the other two musketeers, James Smith and Vincent Sheheen. And Beth Bernstein and Darrell Jackson, both co-hosts, and Mia McLeod, who’s also running for Joel’s seat, and Nikki Setzler, and Todd Rutherford, and a fairly long list of Dems who don’t hold office, like Phil Bailey and Trav Robertson. Good golly Miss Molly was-a even there, too. By which I mean Cindi Scoppe, But when I spotted her from behind, I had to go up and get her to turn around to be sure, because Cindi Scoppe does not DO social events, aside from her annual cake party. She works 24 hours a day, and therefore lacks the time. Or the inclination. She doesn’t follow pop culture, for instance, because it’s not to the point — in what way will it contribute to her next column, she wants to know? And the answer is, in no way, because she’s not going to write about anything frivolous. So I was deeply impressed, and I hope Joel was, too, because it was quite a compliment for her to show up. But then she and I both think a lot of Joel. Also interesting is who she was talking to — the aforementioned Republican senator, Katrina Shealy, who has been such a valued ally of Joel’s in trying to reform DSS’ Child Protective Services. Other things, too, probably, but that’s the one that first comes to mind. Since this was the first time I’d spoken with her since we endorsed Jake Knotts instead of her, I thought it would be wise to start over, so I introduced myself. She introduced herself back. I said, “You’ve been doing a fine job.” She said “I bet you never thought you’d say that.” I came back with, “Aw, now, that wasn’t about you. That was about Mark Sanford.” As if, you know, that would make her feel better. We went on after that to have a fairly pleasant conversation, although she mostly spoke with Cindi and I missed a lot of it on account of loud background music and my Meniere’s. I’ll spend this bullet on a digression: Some of you may not understand that endorsing Jake Knotts was something that the editorial board of The State would never, ever have done under my direction. Right up until we did it, that is. And we did it because Jake had dared to stand up to Mark Sanford, and Sanford was promoting Ms. Shealy as his candidate, and we took exception to the governor and his out-of-state supporters trying to remake our Legislature in their image. I say “we” endorsed Jake. Truth is, I insisted upon the backhanded endorsement, and Cindi had to write the thing (I wrote a column to go with it, in which I noted, “We are not comfortable with this. We’ve had some terrific arguments about it on our editorial board. It was not one of your quick decisions, shall we say.”). Cindi has never really quite forgiven me for that. So, when I said after the senator moved away that I hoped Cindi would find something nice to say about Katrina in her bid for re-election, because after all Cindi really owes her after what she did to her, Cindi didn’t laugh at all. Which is strange, because I’ve always thought irony to be a rich source of humor. But seriously, I’m pleased with how Sen. Shealy turned out, and I wanted everyone to know that the Knotts endorsement was never Cindi’s fault. As I said, I missed Susan Brill but spoke briefly with Mia McLeod. That’s going to be an interesting contest in the fall. I spoke about it at some length with Trav Robertson, who is helping Mia some with her campaign, and he was very upbeat. When I said Susan was a strong candidate and they had their work cut out, he came back with the fact that Obama won the district with 55 percent of the vote — and in 2012, mind you. So yeah, the Democrat has a bit of an edge, but I suspect the Republican has a chance. We’ll see. At this point I should reflect on Sen. Lourie’s career in the Senate, but I think I’ll do that in a separate post. This one turned into too much of a Hedda Hopper-style name-dropping piece. Suffice it to say that the Lourie era, which includes his father’s time in the Senate, has been one worth celebrating. Joel has done his late father’s memory proud with his honorable, principled service to his constituents and the people of South Carolina. I can hardly think of a time when I strongly disagreed with anything he advocated, and that’s unusual. He will be missed. But he has decided to pull back and devote his attention to his business, Lourie Life and Health, and I wish him and his partner, Chris Johnson, great success. This entry was posted in Contact report, Legislature on May 26, 2016 by Brad Warthen. 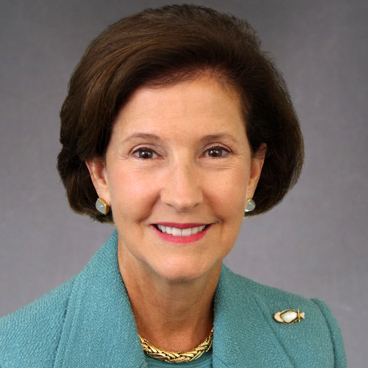 Talking with Inez Tenenbaum this morning about her support of Joe Biden, I changed the subject to Hillary Clinton and asked, somewhat facetiously, whether Inez used two email accounts when she was in Washington as head of the Consumer Product Safety Commission. And if by any chance she did use private email for public business, it would be treated as public — she was told such communications would all be subject to Freedom of Information requests. When I asked why she thought Hillary Clinton doesn’t seem to have gotten the same message, she declined to go there. 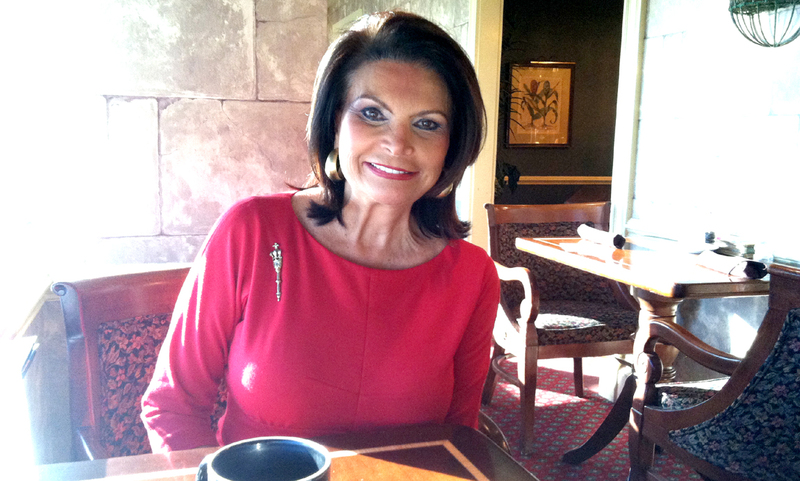 I had called Inez because she has been named to co-chair (along with Sen. Gerald Malloy) the Draft Biden effort in South Carolina. If you’ll recall, the last time around (in 2007) she came out early for Barack Obama, while her husband Samuel was backing Biden. Samuel is not in a position now to endorse candidates because of his job, but as an attorney in private practice, Inez has no such barriers to contend with. I asked whether she’s gotten any pushback from the Clinton campaign. No, she said. “I got lots of calls from the Hillary people early on” seeking her support. But even though there was no serious anticipation at that point that Biden would get in, she said she felt an obligation to him to wait until he said definitively whether he was running or not. As to whether he should, “One part of me wants him to get into it… one part of me understands” why he might decide not to go through that grinder. This entry was posted in 2016 Presidential, Contact report, Democrats, Ethics, Hillary Clinton, Joe Biden, Rule of Law on September 10, 2015 by Brad Warthen. It occurs to me that I should make myself do more short contact-report-type posts, whenever I run into a newsmaker and pick up a tidbit. Yesterday, I ran into Commerce Secretary Bobby Hitt (my long-ago managing editor) getting on the elevator heading up to his office. I expressed surprise that he wasn’t on his way to Germany with the governor. He said he wasn’t needed on this trip. Anyway, he figures he’s done the trek to Germany enough, what with his years with BMW after he left the paper. Noting that the trip is about building relationships with automobile manufacturing suppliers, he gave me his elevator speech on that topic before he got out on the 16th floor: South Carolina is now home to 250 such suppliers — 80 of them added since he’s been at Commerce. I stuck out my hand and congratulated him on that. After all, one wants to encourage that kind of success. This entry was posted in Business, Contact report, EcoDevo, Nikki Haley, South Carolina, Transportation on September 10, 2015 by Brad Warthen. 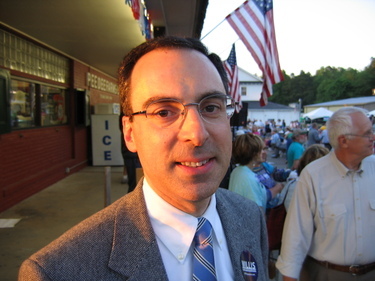 Dr. Paul DeMarco in 2006. Brother (Jeff}, you can strike the “perhaps” from that sentence. 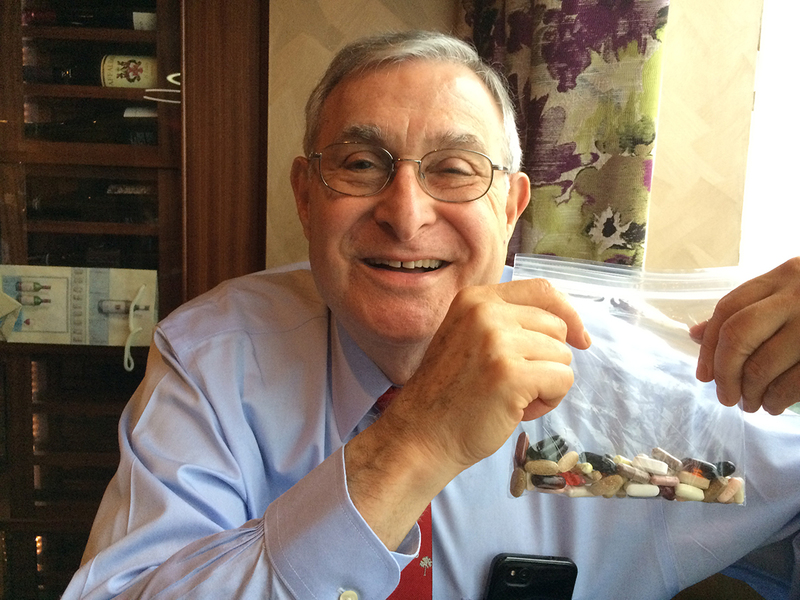 I am a physician who sees patients for HopeHealth, a community health center in Florence. The majority of patients I see are uninsured and I can attest to the difference that insurance makes in their lives. Every time an uninsured patient dies suddenly, we should ask the question, did their lack of access to care contribute to their death? Sometimes the answer is no, but surely you can conceive of a patient with undiagnosed coronary artery disease ignoring it because they don’t have the funds to see a primary care physician and don’t want to run up a bill of thousands at the emergency room. If they ignore it too long, they may suffer sudden cardiac death and be found dead at home. But helping prevent these kind of dramatic deaths is not the only attribute that Medicaid (or any insurance) provides. 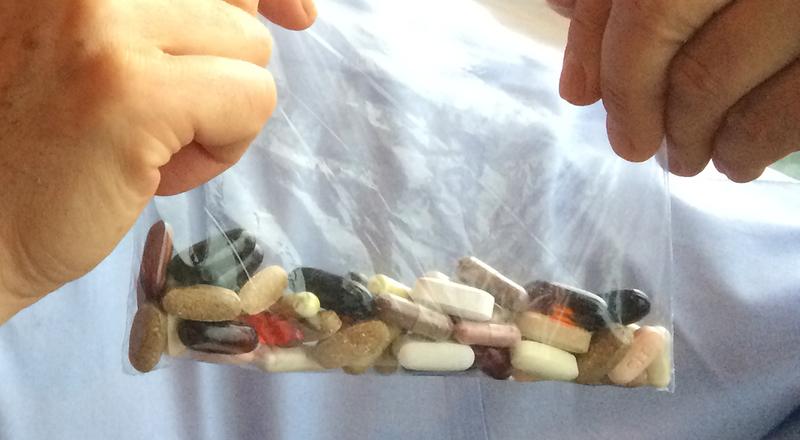 It provides access to expensive medications to control diabetes and hypertension to prevent coronary artery disease, stroke and kidney failure; it provides access to imaging, specialty care, and health screening services (e.g., I defy you to find me a single uninsured patient who has paid out of pocket for a screening colonoscopy); and it provides the simple peace of mind knowing that your are spared making decisions about whether to pay your rent or see the doctor. If you are the Jeff Mobley from Columbia who ran for state senate, your profile says you work as an analyst for Blue Cross/Blue Shield. How ironic. However, private insurance offers its own set of troubles, including incentives that put profit above patients. See http://www.postandcourier.com/article/20110501/PC1602/305019922which describes the huge profits BC/BC makes and the million dollar salaries their top brass rake in. If you are really interested in learning the practical effect of insurance on patients’ lives, I’d love for you to spend a day in my office seeing patients. I suspect that time might broaden your perspective. It would be great to have a series of posts from or about fondly-remembered commenters from years past, here in my 10th anniversary year as a blogger (first post, May 17, 2005). 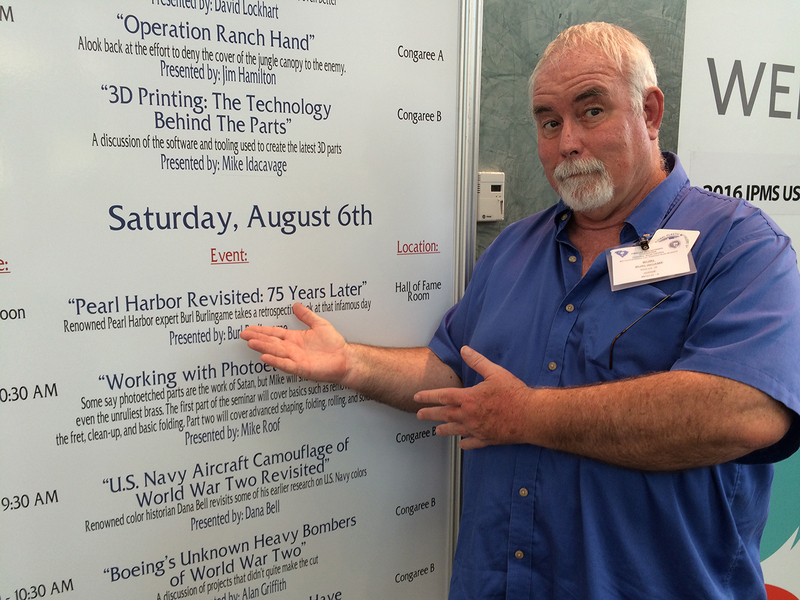 This entry was posted in Blogosphere, Contact report on August 17, 2015 by Brad Warthen. This was taken as the mayor was leaving a reception honoring local attorney and former city councilman Luther Battiste, upon the addition of his papers to the Ernest F. Hollings Special Collections Library at USC. Luther is a notorious packrat. Like me. But unlike me, he has managed to save some pretty interesting stuff from over the years. And truth be told, this isn’t really a “new look.” He hasn’t turned a sartorial page, as it were. The mayor explained that he’d been home all day, and this was his first event outside of the house, so he just didn’t bother to get all gussied up. His second event of the day was the Solomon-Tenenbaum lecture, which I also attended. This entry was posted in Contact report, Midlands, Social media, Steve Benjamin on February 20, 2015 by Brad Warthen. Friday night, I ran into our own Phillip Bush at the Greek Festival. He had a pint of beer in hand, which he had obtained at the craft beer stand next to the main tent, where Greek-flavored music was being performed. I asked if he would recommend one of the beers. He said that, Anglophile that I am, I should get a Skunk Cabbage ESB, to celebrate the Scots’ rejection of separatism. Which I did. And I congratulate the local brewers — I liked it better than the legendary Fuller’s ESB. MADRID — THIS was an interesting week to visit Britain and Spain — first to watch the Scottish separatists push for independence and then to watch Basque and Catalan separatists watching (with disappointment) the outcome of the vote. One reaction: I’m glad a majority of Scots rejected independence. Had they not, it would have clipped the wing of America’s most important wingman in the world: Britain. Another reaction: God bless America. We have many sources of strength, but today our greatest asset is our pluralism — our “E pluribus unum” — that out of many we’ve made one nation, with all the benefits that come from mixing cultures and all the strengths that come from being able to act together. As I’ve asked before: Who else has twice elected a black man as president, whose middle name is Hussein, whose grandfather was a Muslim, who first defeated a woman and later defeated a Mormon? I’m pretty sure that I will not live long enough to see an ethnic Pakistani become prime minister of Britain or a Moroccan immigrant president of France. Yes, the unrest in Ferguson, Mo., reminds us that we’re still a work in progress in the pluralism department. But work on it we do, and I’ll take the hard work of pluralism over the illusions of separatism any day…. This entry was posted in Beer in the News, Contact report, Marketplace of ideas, The Nation, The World on September 22, 2014 by Brad Warthen. This morning, I was on my way out of having my breakfast at the Capital City Club, and saw today’s WSJ on the sideboard by the door to the grill, and paused to pick it up and glance over the front page. Then I hear someone say “Brad,” and look up and it’s Liana Orr, and she’s got someone in tow — a guy about my age dressed in a yellow polo shirt. As she’s introducing me, I see that it’s Tom Ervin, the independent candidate for governor. But then he says something to let me know that he’s read the blog at least once. Back on July 3, I wrote a post headlined “Tom Ervin won’t say how HE’D pay for roads, either.” It took him to task, along with Nikki Haley and Vincent Sheheen, for ducking the simple fact that if we want more money for roads, we already have a mechanism for that — raise the state tax on gasoline. Today, Ervin tells me that I was right and he was wrong, and now he’s advocating for a gas tax increase. And of course, he makes sure I realize that he is the only candidate for governor who dares to do that. You were absolutely right. You were right to call me out on it. Because those are words that one might normally put in the “Things no politician said to an editorialist, ever” category. Republican Gov. Nikki Haley has vowed to veto any proposal to raise the gas tax, while her Democratic opponent, state Sen. Vincent Sheheen, says he won’t endorse a gas tax hike but is willing to talk about it. Budget surpluses won’t do the trick, Ervin said, and fees can’t be raised enough to meet all the needs, which a state task force projected to be $29 billion over 20 years. I don’t know how I missed that. Maybe it didn’t get picked up down here. If I’d read it earlier, I would have written something congratulating him. Anyway. I may not agree with Tom Ervin on everything, but I definitely appreciate his position on this. This entry was posted in 2014 Governor, Contact report on September 17, 2014 by Brad Warthen. Joan Brady is the kind of Republican (a traditional one) that a certain other kind of Republican (the Johnny-Come-Lately extremist variety) likes to call a RINO. She serves her swing district in much the same pragmatic way Sen. John Courson does his — serving Democratic and Republican constituents equally, and keeping the ideology to a minimum. So it is that she has the backing of organizations ranging from the S.C. Education Association and the Conservation Voters of South Carolina to the S.C. Chamber of Commerce and the National Federation of Independent Businesses. Quite an across-the-spectrum, left-to-right set of endorsements. To independents and Democrats, Rep. Brady’s re-election pitch is this: She can get things done on some of the issues that they care about as much as she does, whereas a Democrat — especially a freshman Democrat — could not. She considers the issues she cares about most as neither Democratic or Republican, but she sees her party identity as an asset in getting the Republican majority to pass her initiatives. For instance, she notes that most of her GOP colleagues were less than thrilled with the idea of making state buildings greener, until she explained that in addition to helping the planet, it would save money. “We’re in a Republican-dominated Legislature, like it or not… Democrats have basically been rendered inconsequential in the General Assembly,” she says, so her district needs a Republican to sell good ideas that may not be in the GOP playbook to other Republicans. So it is that she resents the fact that Democrats have targeted her, as she sees it, purely because she is a Republican, disregarding the good she does that they should be able to appreciate. She sees her opponent, Beth Bernstein, as “hand-picked” by the state Democratic Party, as someone who hasn’t shown interest in public affairs before (“In 16 years, I haven’t seen her at a committee meeting.”). Rep. Brady, a full-time legislator, dismisses her opponent in the same terms Nikki Haley used against Vincent Sheheen, calling her a “trial lawyer,” and suggesting she isn’t the small businesswoman she poses as. She also says she’s unprepared to address issues, pointing to the trouble Ms. Bernstein had answering questions at a Sierra Club forum — video of which Rep. Brady has posted on her Facebook page. Meanwhile, she sees herself as being what her district needs and wants. She says that as she goes door-to-door, at every third house voters will say that what they want most is someone who will “work across party lines” to get things done. She says that is exactly what she does, and she sees no reason for her constituents to change horses at this point. She sees that as unlikely — she notes that the district got a little more Republican in the recent reapportionment — but she’s running as hard as she ever has against this challenge. This entry was posted in Contact report, Elections, Leadership, Midlands, Republicans, South Carolina on November 2, 2012 by Brad Warthen. Hear former CNN correspondent and USC Dean Charles Bierbauer and a bipartisan panel debate the hot issues of this year’s presidential campaign at 7 p.m. on Tuesday, October 23 at the Richland County Public Library. Rep. Bakari Sellers (D), House District 90. This free event is cosponsored with Central Carolina Community Foundation. For more information, call 231-6329. Y’all come on out. It could be your only chance to see a political forum this year moderated by a guy who looks like a refugee from 1810. No, I won’t be in costume, but there’s little I can do about the ‘chops and hair. This entry was posted in 2012 Presidential, Community, Contact report, Democrats, Midlands, Republicans on October 22, 2012 by Brad Warthen. First, I want to say that Mike Brenan gave a great speech at Rotary today, and I pretty much agreed with everything he said, from observations about education reform to the upcoming Richland County sales tax referendum. But I had to kid him a little afterwards about one thing he said. In the middle of a passage praising Adam Smith, free markets, individual initiative, personal responsibility and enterprise, he paused, this being the official Columbus Day, to extol Columbus as the original entrepreneur, a guy who had a great idea and went out and raised the funds to courageously pursue it. Yeah, I said… but he did it entirely on a government grant. And he failed to do what he told his investors he would do — find a short sea route to China and the East Indies. 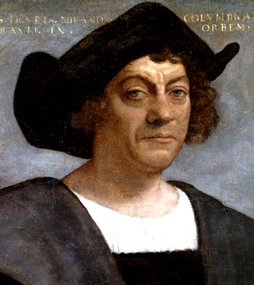 Christopher Columbus transformed the entire planet in ways that boggle the mind. To explore some of them, I recommend you read 1493, by Charles C. Mann. But as an entrepreneur, you might say he was sort of the Solyndra of his day. This entry was posted in Community, Contact report, History on October 8, 2012 by Brad Warthen. With Jim Foster and Jeff Miller. Note the similarity between the photo at top, from Saturday night, and the extraordinary black-and-white photo at bottom. And no, it’s not that both contain anachronisms. It’s that Jim Foster — former city editor, former features editor at The State — is at the center of both. And is, compared to most of us, relatively unchanged. The one on the bottom was contributed by Maxie Roberts, former denizen of the photo desk at the paper, to the effort to gather people from across the country for The State-Record Newsroom Reunion of 2012. Near as I can tell, this was taken probably within the year before I joined the paper in April 1987. I say that because I recognize most of the people, they look about the way they did when I arrived, but there’s one person who I know left just months before I got here. Actually, the clothing isn’t all that anachronistic, but check out those old Atex terminals, connected to a mainframe array that in total, contained about 1/50th of the storage space I have in my iPhone. Which is why we had to constantly kill stuff out of the system in order to keep publishing. At top, you see me with Jim, who now does communications for the Beaufort County School District, and with Jeff Miller, now the vice president for communications of The Leadership Conference on Civil and Human Rights in Washington. 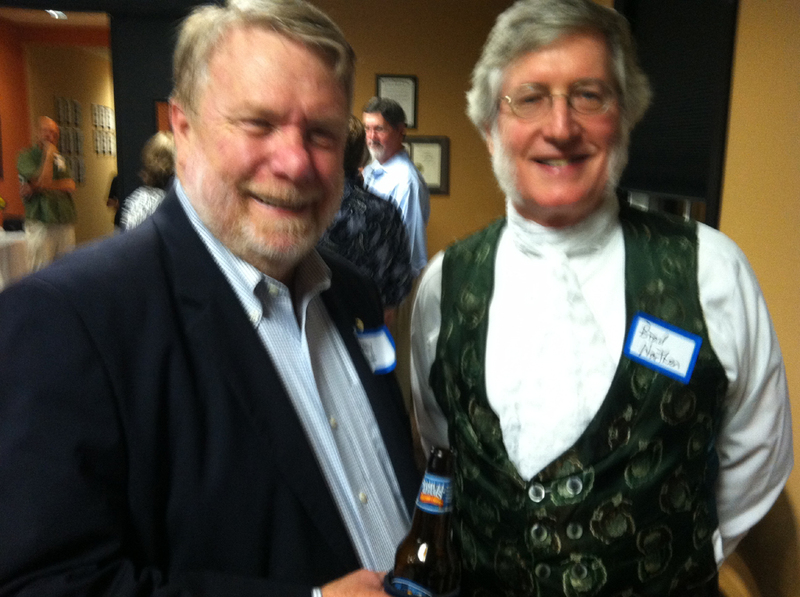 At right, you see me with former Managing Editor Bobby Hitt, who now does something or other in state government. You may notice a trend here. Yes, pretty much everyone I saw during my brief stop at the party was a former employee of the newspaper. Scrolling through my memory, I only saw one person currently employed there — reporter Dawn Hinshaw. Of course, I suppose that’s to be expected at a reunion, but still. Aside from Bobby, there was even more senior brass at the party, two former executive editors — Tom McLean, of Columbia and Blythewood; and Gil Thelen, now of Tampa. Tom’s the guy who hired me at The State; he was also my predecessor as editorial page editor. I also saw Mike Fitts, Fran Zupan, Kristine Hartvigsen, Michael Latham, Tim Goheen, Tom Priddy, “Coach” Bill Mitchell, Bunnie Richardson, Jim McLaurin, Bob Gillespie, Fred Monk, Claudia Brinson, Grant Jackson, Tim Flach (OK, that’s two who still work there), and others whom I would no doubt be embarrassed to have forgotten to mention. Most were wearing clothing appropriate to this century. The reason I was not was that I was playing hooky from Pride and Prejudice. I had been thinking I wouldn’t be able to drop by the party until 11 or so, and I knew it would have thinned out by then. But then, after my last appearance in the play in Scene 9, my daughter said, “Why don’t you go now (it was about 9 p.m.)?” I wouldn’t have time to change, because I’d have to be back by 10:30 for curtain call. But the party was nearby, at the S.C. Press Association HQ, and I could just run over there and spend about 45 minutes and say hi to everybody. So I did. And used the awkwardness caused by my attire to plug the show, and urge everyone (all those who still live here, anyway) to come out and see it when we open at Finlay Park next Wednesday night at 7:30 (our Saluda Shoals run ended last night). But this rare reunion of old friends and comrades would only happen once, so I’m glad I ran out and caught what little of it I was able to catch. 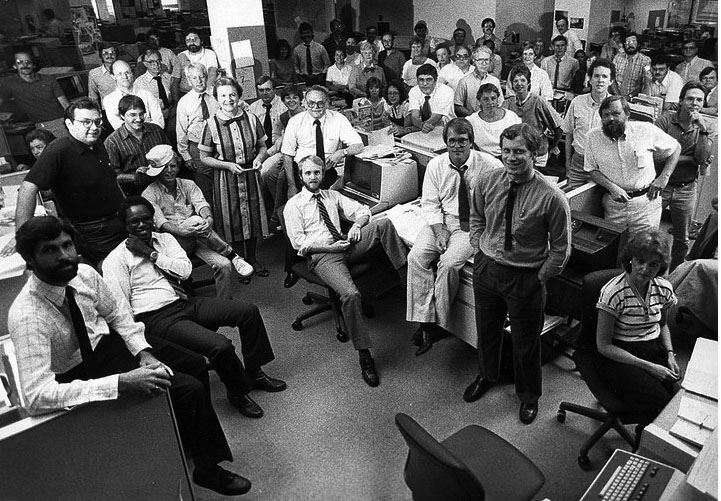 The newsroom, circa 1986 -- or the portion of it available for the photo that day. And yes, it's been a long time since this many people were in the newsroom at once. This entry was posted in Contact report, History, Media, Personal, South Carolina, The State on October 8, 2012 by Brad Warthen. Actually, he’s not the only one who thinks so. But Vincent is the one I had lunch with yesterday, and the one who told me about this article that he and Tom Davis co-wrote for the Charleston Law Review (starts on page 439). We talked extensively about the 2010 race, and what might or might not be different in 2014. He pointed out that last time around he got more votes than any other gubernatorial candidate in South Carolina history (630,000) — except of course Nikki Haley, who got more. But only slightly more, and that as a result of the one-time Tea Party surge. So while he hasn’t made up his mind, you can see how he’d be considering another run. South Carolina’s citizenry last met in a constitutional convention in 1895. Prior to the Convention of 1895, the people of South Carolina saw it fit to meet together to perfect their form of government on multiple occasions—1776, 1778, 1790, 1861, 1865, and 1868. When our last convention occurred in 1895, of the 162 members present, only six were black. The convention was in part called so that newly re-ascendant whites could undo work that the Reconstruction government had created. The convention also had a goal of re-centralizing power in the state government away from the emerging local governments. I fully appreciate all of the reasons why Tom and Vincent see the need for a convention. As I’ve written so often for more than two decades, our state government needs to be rebuilt from the top down (or the bottom up, if you prefer — just as long as the result is the same). In fact, the initial idea for the Power Failure series I conceived and directed in 1991 came from a series of three op-ed pieces written for The State by Walter Edgar and Blease Graham in 1990, which argued for a constitutional convention. While not being prepared to leap to that conclusion, I was fascinated by the analysis of what was wrong with our state government (some of which I had glimpsed, but imperfectly, as governmental affairs editor), and how it had always been thus, stretching back to before South Carolina was even a state, back to the Lords Proprietors. In fact, all of those constitutions Tom and Vincent mention in the lede of their article essentially preserved the same flaw of investing power almost exclusively in the Legislature, to the exclusion of the other branches, and of local government. There might have been odd little innovations here and there, such as the direct election of a strange array of state officials (which served the purpose of fragmenting what little power was vested in the executive branch), but the core ill was the same. It was a system created to serve the landed (and before 1865, slaveholding) elites of the state, not the people at large. Today… well, today, our state government is worse than it was. I can’t remember the last time anything significant came out of our State House that made good sense and that was designed to move our state forward rather than backward. So on the one hand, I’m tempted to say things couldn’t be worse, so let’s set off that “kag” and see which way we’ll go. But on the other hand… In the years since “Power Failure,” the quality of elected leadership in this state has declined precipitously. Back then, as bad as the structure was, there were people in charge who understood this state’s challenges and were sincerely committed to make things better. Carroll Campbell was governor, and Vincent’s uncle was speaker of the House. And even though he had his doubts about the very limited restructuring Campbell managed to push through in 1993, Bob Sheheen was a smart guy who could be reasoned with, and he did his part to make it happen. Back then, we had our share of chuckleheads in office, but it was nothing like today. Back then, government wasn’t in the hands of nihilistic populists who not only oppose the very idea of government, they don’t understand the first thing about how it works. Would you trust the folks in charge now to set up a constitutional convention that would leave us better off than before? The office-holders who understand the things that Vincent and Tom understand about our system are few and far between. I must admit, I’d have to go back and research what it would take to set up a constitutional convention. At this point, I’m not familiar with the procedures. Maybe there are ways to do it that I would find reassuring. But before I could say I favored having one, I’d have to hear a lot of assurances as to who would attend such a convention, and what they’d be likely to do. This entry was posted in Contact report, Democrats, Elections, Government restructuring, History, Legislature, Lindsey Graham, Marketplace of ideas, Political science, South Carolina on September 27, 2012 by Brad Warthen. Supporters of a one-penny increase in the sales tax in Richland County kicked off a campaign this week to win voter approval of a plan they said would raise $1 billion over 22 years, address critical transportation needs and create an estimated 17,000 new jobs. The issue will be on the Nov. 6 general election ballot for all Richland County voters. The transportation penny, according to the county’s proposal, would increase sales tax in Richland County to 8 cents on the dollar on proceeds of sales, with the funds going to improve roads, support the bus system and increase bike and pedestrian greenways. The transportation penny would increase the sales tax to 2 cents on the dollar on groceries, except for purchases made with food stamps, which are exempt from the transportation penny. Touting “more jobs, safer roads, local control,” about 80 people gathered Wednesday to roll out a campaign for a Richland County sales tax for transportation. Citizens for a Greater Midlands, organized by business leaders making a second effort to pass the penny-on-the-dollar tax, were countered by a dozen sign-carrying protesters on the sidewalk along Gervais Street, outside the Clarion Hotel Downtown. Voters rejected the referendum by about 2,200 votes two years ago. Richland County Councilman Paul Livingston said the tax to fund roads, buses, sidewalks and bike lanes was the single most important issue to arise in his 22-year tenure in county government. I’m going to take Dawn’s word for it that there were a dozen protesters outside, although when I walked through them on my way in and out — the kickoff was conveniently right around the corner from my ADCO office — it didn’t seem like that many. Of course, I would imagine that relatively few people who will vote “no” are so passionate about it that they want to stand on a curb with a sign. One of them who did was longtime antitax activist Don Weaver, who greeted me pleasantly when he saw me come out. What I do know is that the room with the supporters inside was fairly packed, and consisted largely of people who devote themselves to working for the advancement of the community, from business leaders to elected officials. Aside from Councilman Livingston (who, like other elected officials, stressed he was there as a private citizen), we heard from a Midlands Tech student who depends on the bus to get her to school so that someday she can have a job that will enable her to afford a car, two or three other bus riders, my good friend Jennifer Harding (former ad director for The State, now in real estate), Steve Benjamin, Brian DeQuincey Newman, and Cameron Runyan. Rival adman Lee Bussell spoke for the Chamber — he was the one who stressed how the Shop Road extension would help open up prime locations for industrial recruitment. The most compelling argument for this plan came from Mr. Livingston. He charted the path of this process, from the 39-member citizens group six years ago that drafted the plan that has changed little since then, and made the salient point — this is it, the only viable vehicle for both saving our bus system and funding other transportation priorities. People who don’t want these things for our community will of course vote against it, which is their right. But people who do want any of these things, and vote against this plan because everything about it isn’t perfect, are fooling themselves and doing their community a disservice. Because this is it. It took a long time to get to this point with a lot of people working hard to do so, and there has been NO effort by anyone I’ve seen to put an alternative plan on the tracks. This entry was posted in Community, Contact report, Elections, Midlands, Priorities, Taxes, Transportation on September 20, 2012 by Brad Warthen. I dropped by Donehue Direct this morning and saw Wesley and Joel Sawyer and the gang in their expanded digs in the ancient walkup on Main Street. And the thing that impressed me most was the sticker I saw, which you can see above, on a door. Wesley said he picked it up at a head shop or some such during his travels. 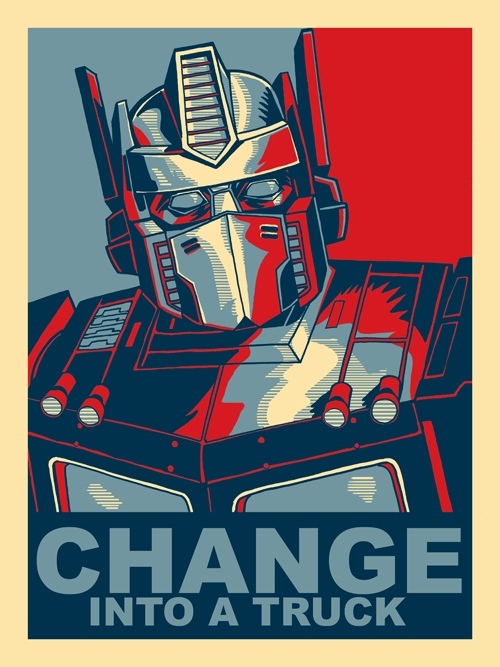 This very clever poster is the work of graphic artist Tim Doyle and obviously parodies the previously omnipresent “Change” poster of now-President Obama. It was printed as a limited edition 18×24 inch poster which Transformer fiends snapped up for $30 without hesitation. There was even glow in the dark version which disappeared just as quickly. If you’re a similarly afflicted Transformers nut, keep your eyes on Nakitomi, where a reprint may happen if demand is heavy enough. Freaks. Here’s the direct link for a 16X20 poster version if you want to shell out $25. The one I saw on the door was more like 4X5. This entry was posted in Art, Barack Obama, Contact report, It's a joke! on September 14, 2012 by Brad Warthen. This morning, I attended a meeting over at the Greater Columbia Chamber of the group campaigning for the referendum to fund local buses and other transportation needs. That is to say, the group preparing to campaign for the referendum. The official launch is next Wednesday. The website just went live, with additional content to come, and the Twitter feed is just getting started — I was only the seventh follower. But of course, the effort goes back quite a ways. 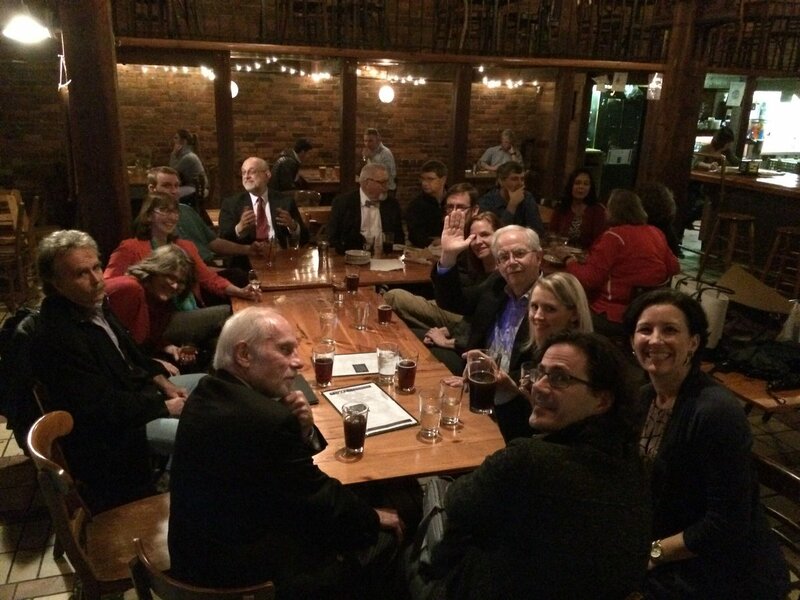 At the meeting I was sitting next to former Columbia College President (and local F.O.B.) Caroline Whitson, who led the initial communitywide effort — more than six years ago now — to identify, and push for funding for, local transportation priorities. That effort would have likely led to passage of the one-cent sales tax increase in 2008, except that it failed to get on the ballot for lack of a vote on Richland County Council (I want to say it was because Kit Smith was out of town, but it’s been awhile, so I forget the exact details). Instead, it went on the ballot in 2010, the most anti-government, anti-tax election year in my memory — and fell less than a percentage point short. Backers, among whom you can continue to count me, are optimistic that this is the year. I think there are a number of reasons to think so, in spite of the continued vehemence of the opposition. I’ll have more on the subject as the effort launches. This entry was posted in Community, Contact report, Elections, Leadership, Midlands, Social media, South Carolina, Transportation on September 12, 2012 by Brad Warthen.